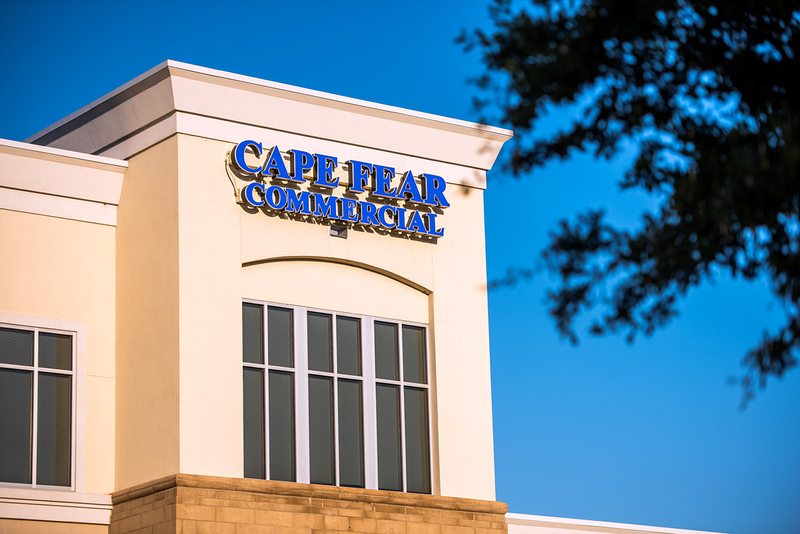 Wilmington, N.C. – Commercial real estate firm Cape Fear Commercial today announced TowneBank Mortgage and Towne Insurance as the anchor tenants for its newest build-to-suit project, a 31,250-square-foot office building located at 6925 Fresco Drive in Renaissance Park. Virginia-based TowneBank (NASDAQ: TOWN) recently signed a long-term lease for 15,000 square feet for its subsidiaries, TowneBank Mortgage and Towne Insurance, to occupy the building’s entire first floor. With Towne’s commitment, the office project, which was first introduced as Renaissance II, will now be called the TowneBank Building. Brian Eckel of Cape Fear Commercial negotiated the transaction on behalf of the landlord, Renaissance Two of Wilmington LLC. Cape Fear Commercial’s Spruill Thompson represented TowneBank. “We see the potential for continued growth in Wilmington and look forward to opening the doors to our new space,” said Towne Insurance CEO Dudley Fulton. Designed by LS3P Associated LTD, the two-story TowneBank Building is slated for completion in fall 2018. In addition to serving as the project’s general contractor, Thomas Construction Group plans to occupy the building’s remaining 15,000 square feet on the second floor, bringing the project to 100 percent occupancy. With high demand for class-A office space in the Landfall submarket, Cape Fear Commercial will soon begin marketing another fully permitted office building in Renaissance Park. 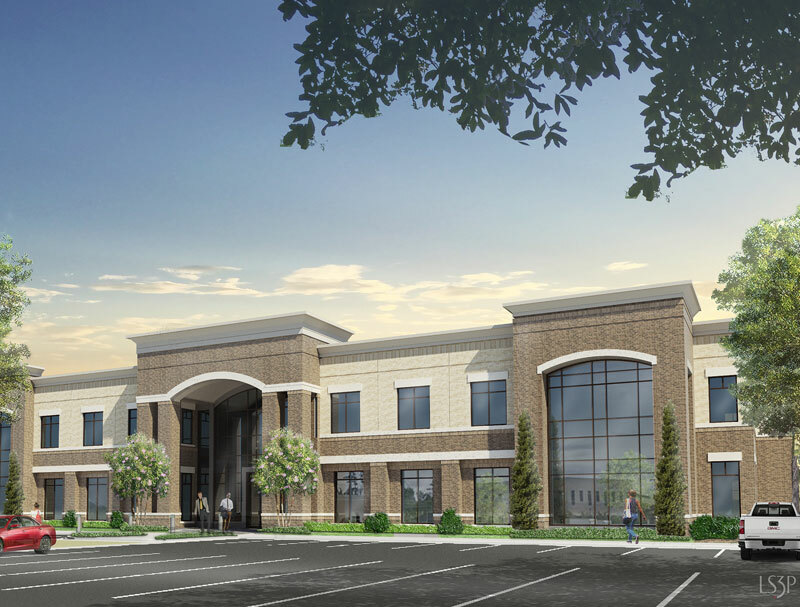 The 20,500-square-foot, LS3P-designed building will be located next to the TowneBank Building at 1010 Ashes Drive. More information regarding a groundbreaking ceremony for the TowneBank Building will be shared in the coming weeks. As one of the top community banks in Virginia and North Carolina, TowneBank operates 37 banking offices serving Chesapeake, Chesterfield County, Glen Allen, Hampton, James City County, Mechanicsville, Newport News, Norfolk, Portsmouth, Richmond, Suffolk, Virginia Beach, Williamsburg, and York County in Virginia, along with Moyock, Grandy, Camden County, Southern Shores, Corolla and Nags Head in North Carolina. Towne also offers a full range of financial services through its controlled divisions and subsidiaries that include Towne Investment Group, Towne Wealth Management, Towne Insurance Agency, Towne Benefits, TowneBank Mortgage, TowneBank Commercial Mortgage, Berkshire Hathaway HomeServices Towne Realty, Towne 1031 Exchange LLC, and Towne Vacations. Local decision-making is a hallmark of its hometown banking strategy that is delivered through the leadership of each group’s President and Board of Directors. With total assets of $8.61 billion as of September 30, 2017, TowneBank is one of the largest banks headquartered in Virginia. For more information, visit www.townebank.com. With offices in Wilmington, North Carolina, and Charleston, South Carolina, Thomas Construction Group is an innovative, full-service general contractor achieving 100% client satisfaction and specializing in early design phase construction management. The company’s comprehensive construction services include CM-A/consulting, preconstruction, estimating, value-engineering, and CM/GC. Thomas makes sure we provide each client with the information to make the best decisions and personal integrity at every step. For more information, call (910) 679-8502 or visit www.thomasconstructiongroup.com.